As the most affordable and compact Kemble grand piano model ever, the KC151 has been elegantly styled and finished to the highest standards. As the most affordable and compact Kemble grand piano model ever, the KC151 has been elegantly styled and finished to the highest standards. At only 151cm in length, this instrument is the perfect choice where space is limited. 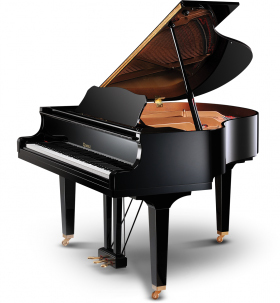 However, despite its compact proportions, this Kemble grand offers a full and resonant tone that is comparable to many larger instruments. Like all Kemble pianos, the KC151 undergoes a stringent final preparation process in the UK. With its broad dynamic range and rich tone the KC151 is a perfect example of this much-loved and well-respected piano brand.